Milton has partnered with MoEd to deliver a fun STEM-based program on coding, circuits, design, 3D printing, optics, and planting. The unique program offers engaging hands-on STEM education while seamlessly integrating Hebrew language learning. Classes meet on Sundays or Wednesdays, and are open to elementary and middle school students. At STEM Sundays, students plan their own investigations into a variety of STEM topics – all while seamlessly integrating Hebrew language learning. At the Maker Space program on Wednesdays, students are invited to learn foundational design and coding skills, and then to create, explore, and enjoy the maker world – while being immersed in a Hebrew-language environment. 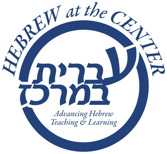 No prior knowledge of Hebrew or the topics is required for either class.